The Central Bank of Russia has called for state prosecutors in Moscow to investigate its most costly bank takeover and bailout, the three-year refinancing and reorganization of National Bank Trust and Otkritie Bank, on suspicion of multibillion-dollar fraud by Vadim Belyaev, the former chief executive and leading shareholder of Otkritie. Other Otkritie Bank shareholders involved in the transactions now under investigation by the prosecutors include Vagit Alekperov of LUKoil; Ruben Aganbegyan of the Moscow Stock Exchange, and Alexander Mamut, an investor in the Russian insurer Ingosstrakh and the Polymetal goldmining group. Today the Central Bank refused officially to confirm or deny the details reported so far. 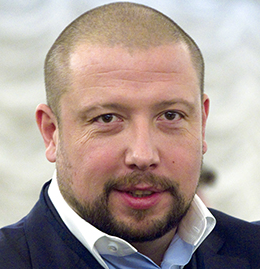 Alexander Dmitriev, spokesman for Belyaev and the Otkritie board before its takeover by the Central Bank, also refused to respond to the reported allegations. One of the allegedly suspicious transactions the Central Bank press leak has identified is Belyaev’s purchase from Alekperov of the Russian diamond-mining company Arkhangelskgeoldobycha (AGD) and its Grib diamond mine for $1.45 billion; the transaction in cash was announced by LUKoil on December 2, 2016. The deal price, for which Belyaev is suspected of using the Central Bank’s bailout funds, was reportedly “five times greater than the market value of the asset.” According to LUKoil, “Goldman Sachs acted as exclusive financial advisor to LUKoil” in the deal. Otkritie has not announced who its financial advisor was. In the press release, an Otkritie spokesman claimed the purchase of the diamond mine was a “strategic investment in an attractive asset with potential for further development. This acquisition diversifies Otkritie’s range of business interests as the largest privately-owned financial company in Russia.” The full story of the diamond deal and the over-pricing was reported a month ago; click to follow the details. From left to right: Vadim Belyaev; Vagit Alekperov; Vasily Pozdyshev. Follow the Central Bank’s involvement in the takeover and rescue of Otkritie, which commenced on August 29, 2017, together with estimates of how much cash the Central Bank has put into the rescue while leaving Belyaev in management and accounting control; click. For the earlier history of the collapse of Trust Bank in December 2014, and its subsequent takeover by Otkritie, read this archive. The account of what happened from former control shareholder and chief executive of Trust, Ilya Yurov, who has been accused in the Moscow and London courts of defrauding his bank, can be read in his New York state court dossier. Yurov’s court papers charge three Central Bank officials with conniving with Otkritie shareholders to steal his bank, and then the Central Bank’s bailout funds. At the LUKoil press office in Moscow, Alekperov was asked to comment on the reported investigation of his sale to Vadim Belyaev of the Grib diamond mine. There was no reply.